The law company Dmitrieva and partners renders a great variety of legal services on solving any questions in legal, tax, accountingspheres for clients from Ukraine and all over the world. Twenty years of successful practice. The company was founded in 1994. The managing partner of Dmitrieva and partners law company, Dmitrieva Olga Leonidovna, is an attorney-at-law, president of the Ukrainian Advocates Association and the head of the Higher Audit Bar Committee of the National Bar Association of Ukraine. Company staff regularly raise their professional level by visiting specialized conferences, courses and seminars. The lawyers are also authors of publications in specialist legal media. 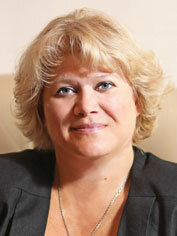 All the advocates of the law company Dmitrieva and partners are members of the Ukrainian Advocates Association. They are all fluent in one or several foreign languages. The law company Dmitrieva and partners is a licentiate of the Laureate Diploma Recognition-2004 contest in the nomination “The best law company in real estate market of Ukraine – 2004” which was hold within the II specialized forum-exhibition “Real estate. Funding. Perspective-2004” by the Ukrainian Bar Association and Ukrainian Real Estate Specialists Association cooperation. Since 1998 Dmitrieva and partners has repeatedly been a member of the 50 leading legal companies of Ukraine schedule in accordance with the results of annual research carried out by the Yuridicheskaya Practika Weekly.